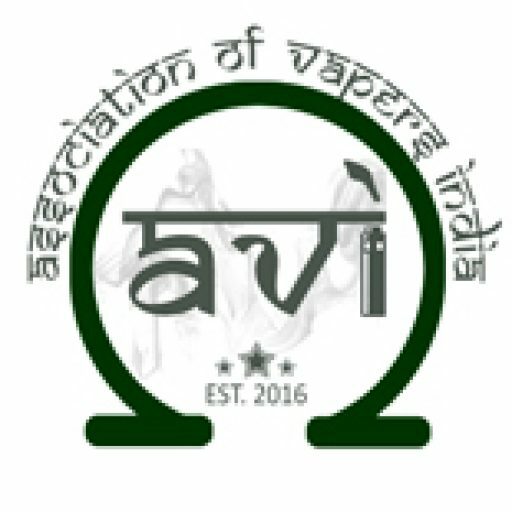 We are writing on behalf of Association of Vapers India ( AVI). AVI is an advocacy group of the people, created with the sole objective of spreading awareness about the healthier alternative to tobacco/cigarettes. We also intend to work with the government in framing policy guidelines that will help save the lives of millions of Indian smokers. No business or individuals with vested interest are involved in our day to day operations. Sir, we have come across media reports on Electronic Nicotine Delivery Devices (ENDS) regulations and the views of the expert committees set-up by the Ministry of Health, Government of India, to examine the issue. Further, various State Governments have taken undue extreme measures like prohibiting the sale of electronic cigarettes, without evaluating the consequences of the decision. At the outset, we would like to emphasise on the scientific evidence of the “harm reduction” potential of ENDS, and consequently, the benefit they can provide to millions of smokers in India (11.2% of world’s smokers, 900,000 annual deaths) who can substitute their current nicotine product with an ENDS device. Also, regulators world over have adopted a more balanced approach of regulating the category instead of complete prohibition. Indian and smokers across the world have switched to ENDS products, realising the harm reduction potential of these products. ENDS have successfully helped in weaning consumers away from cigarettes as it simulates the same experience without the harms of smoke and tar. Studies by prominent health experts and public health bodies globally have underlined the fact that ENDS products are a safer alternative to smoking. In fact, recently the Royal College of Physicians in UK published a report analysing dozens of studies and concluded that the hazard to health arising from long-term vapour inhalation from e-cigarettes is unlikely to exceed 5% of the harm from smoking tobacco. ENDS are also the most effective tobacco cessation mechanism available today. While other nicotine replacement therapies (NRTs) like patches and gums have been found to have success rate of merely 7%, the effectiveness of ENDS is in the upwards of 50%, as numerous studies have found. There is a growing consensus among the international public health experts that electronic cigarettes can and do play a key role towards improving public health. Public Health England and eleven other UK public health organisations, as well as Tabaco Info Service, run by the Public Health France, have confirmed that electronic cigarettes can constitute a tool to help stop or reduce consumption of tobacco. Moreover, a recent US study published in the British Medical Journal (BMJ) provides a strong case that e-cigarette use is associated with an increase in smoking cessation at the population level. The US Study, which is based on the largest representative sample of e-cigarette users to date, recommends that these findings need to be weighed carefully in regulatory policy making and in the planning of tobacco control interventions. In fact, scientists across the world have suggested that Electronic Nicotine Delivery Systems (ENDS), “could be among the most significant health innovations of the 21st century” and have warned against the introduction of stringent regulations governing them. The administrations in both USA and EU have adopted a regulatory approach towards ENDS. Given that in these markets the category has been there for some time, the administration has been able to take this approach with a lot more information and appears to be more inclined towards leveraging the “reduced-risk” potential of ENDS. On July 28, 2017, the US FDA announced extension of the deadline for e-cigarette regulations by up to four years, to comply with a 2016 rule that gave the FDA oversight over these products, thus giving them more time on the market without regulation. The FDA commissioner Scott Gottlieb recognised in his speech the importance of delivery mechanisms and announced a policy shift towards moving smokers to electronic cigarettes. Various studies have also shown that the adoption of vaping is the highest among low-income groups, which makes it an ideal intervention tool for India. A comprehensive evaluation of this format must therefore be undertaken for its ability to provide a suitable alternative to consumers before framing a policy guideline. The August 2016 Report by the World Health Organisation (WHO) for FCTC COP7, while discussing the debate on the potential role of ENDS in tobacco control, also points out “If the great majority of tobacco smokers who are unable or unwilling to quit would switch without delay to using an alternative source of nicotine with lower health risks, and eventually stop using it, this would result a significant public health achievement”. In view of the varied nature of regulatory measures by the Parties to the FCTC, the FCTC/COP7 decision dated 12th November 2016, advises the Parties to consider applying regulatory measures on ENDS as appropriate to their national laws and public health objectives. Restricted availability of ENDS through legal channels would lead to growth of illegal trade. This will result in significant loss of revenue for the government. Moreover, with regard to such illegal products there will be no assurance of source, quality standards or compliance, making them highly suspect. The WHO in its report on ENDS, which was tabled at the Conference of Parties (COP6) in Moscow, has also acknowledged the illicit trade and cross-border Internet sales of such products. It would ignore the mounting scientific evidence on the category from across the world and acceptance of these products as a safer alternative. We also request the Ministry of Health & Family Welfare to undertake a more consultative approach in which all industry bodies are involved before arriving at the policy guideline. We would appreciate the opportunity to further present our case, and introduce the Honourable Minister to people for whom ENDS have been the difference between life and certain death.